Diego shows enormous presence and movement, typical of Dalziel�s progeny. A beautiful upstanding young horse, his powerful mechanics are just awesome to watch! He possesses a sensitive but very balanced mind showing only the highest calibre of trainability! His sire, Dalziel, is by Don Schufro (Andreas Helgastrad), 11th at the Beijing Olympics and a Danish team bronze medallist. Dalziel has numerous wins at up to 72.5% and almost always scores 8 for paces! 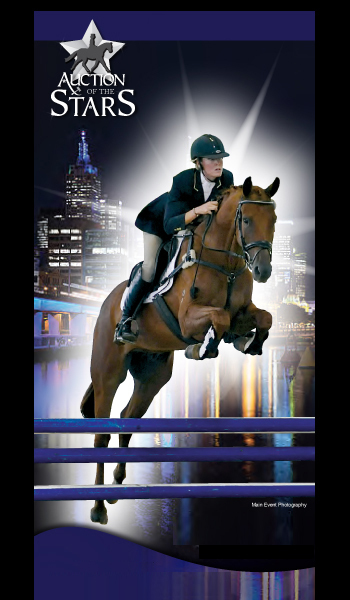 Rider, Tracey Crittenden, is a para-equestrian, and we are very excited at the opportunities ahead. 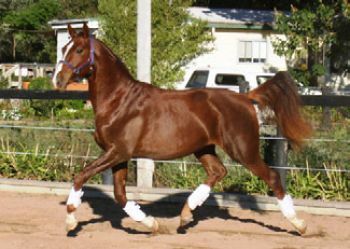 Diego�s dam is by Belcam Glascow (Grannus) out of a Falkland Victory mare and represents solid performance bloodlines. She has also produced our sadly deceased young stallion Svaldifari (Sir Donnerhall), who was also an extreme mover as well as Wolfingham Willoughby by Whisper. Willoughby is providing great joy with his seemingly endless trainability and affection and rewarding me with many wins and scores up to 72.5% in preliminary and his first preliminary championship in April!